This very special edition of the Polymer £5 note is a must for fans of gangster rap. 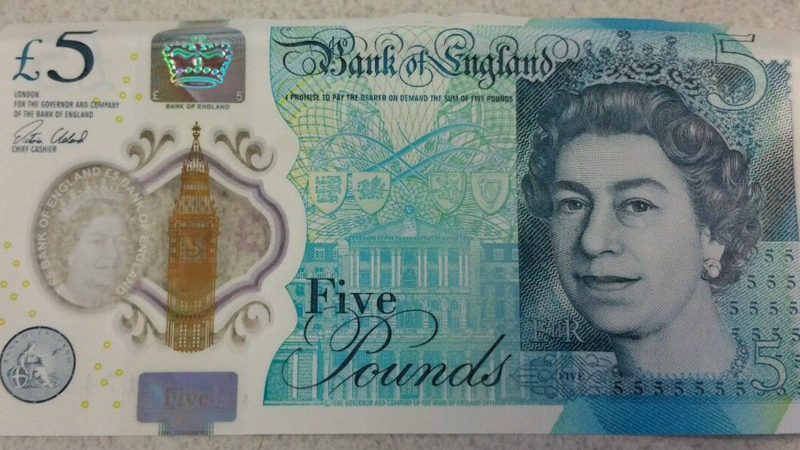 One lucky ebayer could be closing in on the mother of all windfalls after putting one of the brand new £5 notes just put into circulation up for auction on the website. With just a few hours to go, the brand new banknote has reached a staggering price of £80,100, on ebay with well over 100 bids lodged already. The clamour to claim this particular £5 note is a result of the serial number printed on it, AK47, which not only makes it one of the first to be put in circulation but also a must-have among fans of all things gangster. And, as The Sun revealed, seller Gareth Wright is one very lucky boy for even having the note in the first place. The Twickenham resident actually got his hands on the note when he went to withdraw £10 from a local cashpoint. Having spent one of the new £5 notes, he suddenly recalled that notes bearing particular serial numbers were selling for significant sums online. 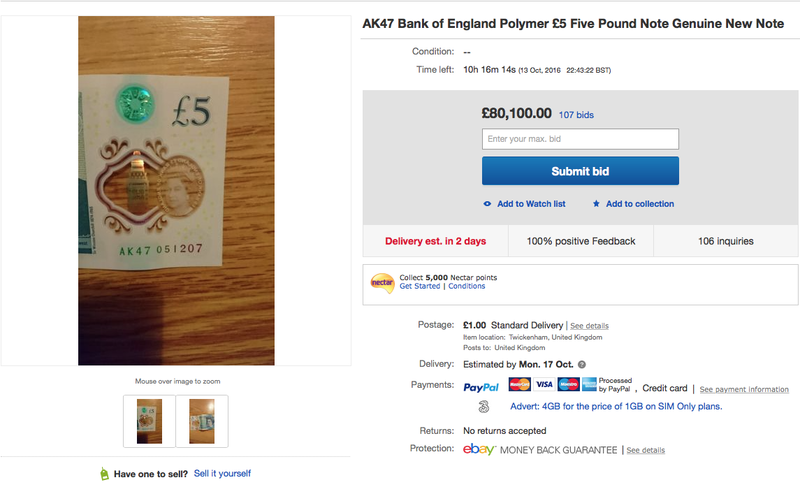 The result was the eBay listing, which could see one lucky, or unlucky, bidder spend over £80,000 – plus an extra £1 for postage – on the new note. Still, if they do get bored with their new purchase at least it has some alternative uses, like playing vinyl for example, which makes it totally worth it. Provided they like and own vinyl. What caused Diego Maradona’s spat with Juan Sebastian Veron?